OAKLAND – As if it wasn’t enough for the Warriors to come back and beat the Lakers on the court Saturday night, it appears that the loss spilled into the Lakers’ postgame locker room. 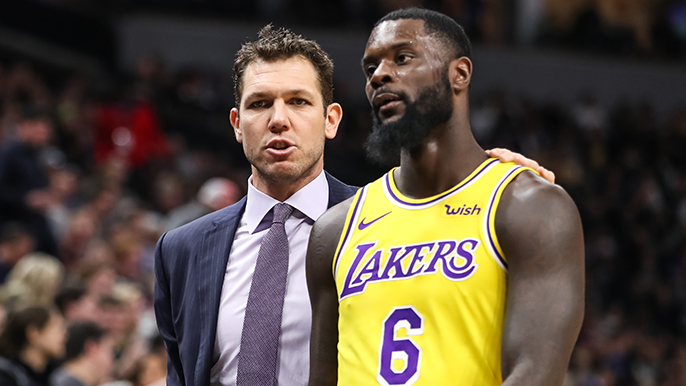 Shams Charania of the Athletic reported that several veteran players – namely Michael Beasley, JaVale McGee, and Lance Stephenson – got into a heated exchange with Lakers coach Luke Walton. Charania reported that after the game that Walton preached that the Lakers players needed to play less selfishly, but several veteran players snapped back at the 3rd-year head coach, bringing up playing time and rotations. All parties involved were apparently separated before things got physical. It would make sense if the Los Angeles locker room was a high-strung environment. The team drew major-market attention before the addition of the world’s biggest athletic star, but the addition of LeBron James and all that comes with it seems to be pulling at the seams of the team. Just last week ESPN’s Jackie McMullan reported that LeBron’s camp wants Luke Walton out as the head coach of the Lakers. Just ask ex-Cavalier Head Coach David Blatt how that worked out for him. It’s a tumultuous time in La La Land for Laker fans.